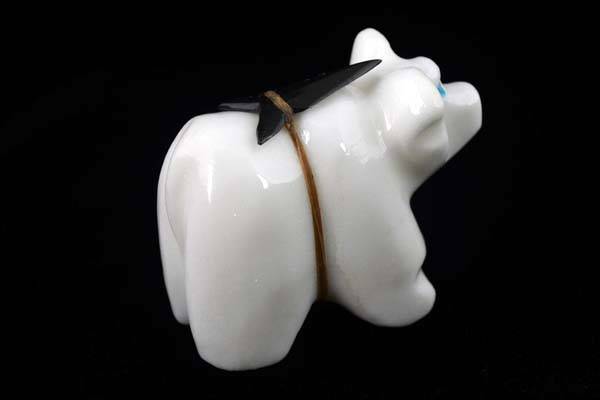 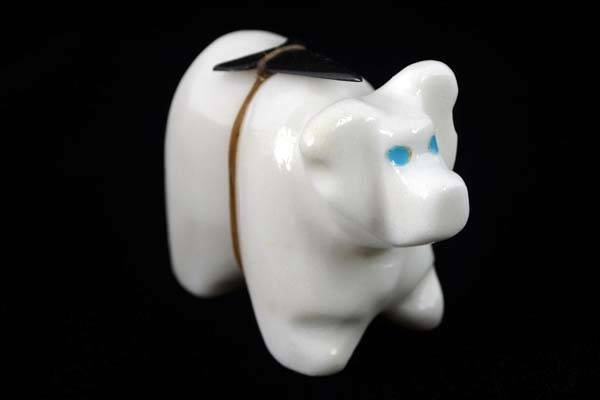 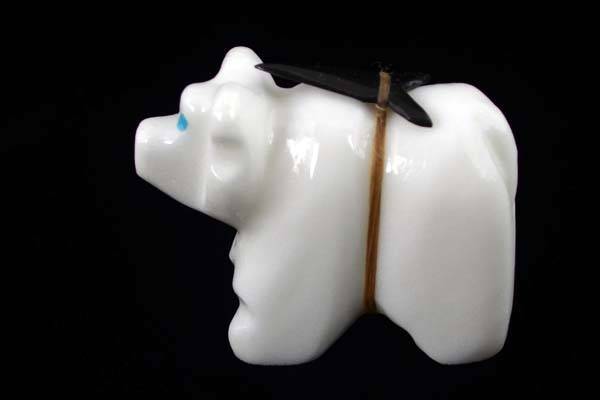 This white marble bear was created by Native American Zuni artist Robert Kionut. 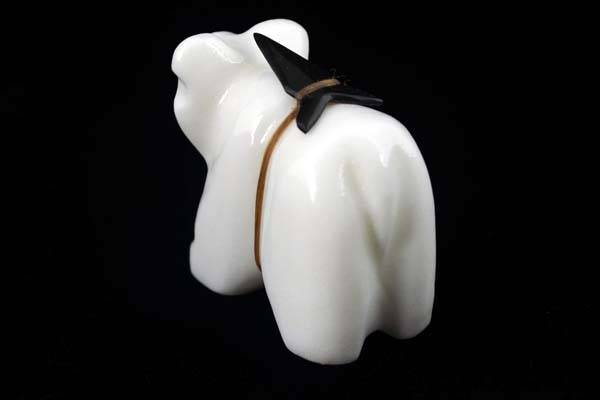 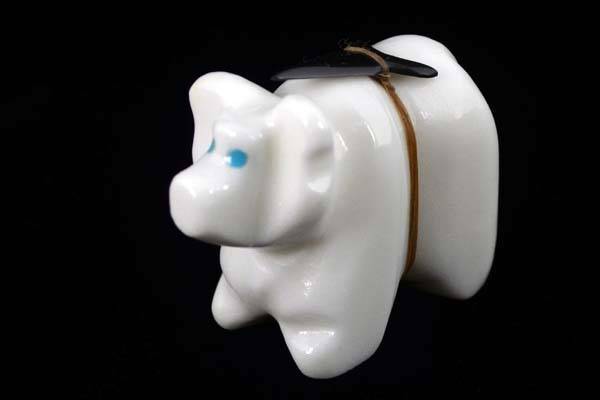 The bear is carved out of a nice piece of white marble and it has a black marble arrow bundle on its back. 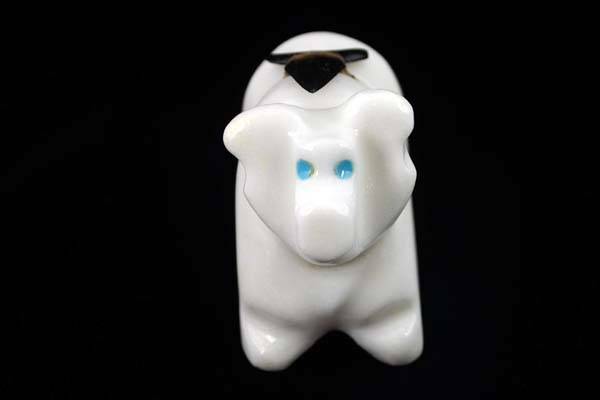 The eyes are inlaid with turquoise . 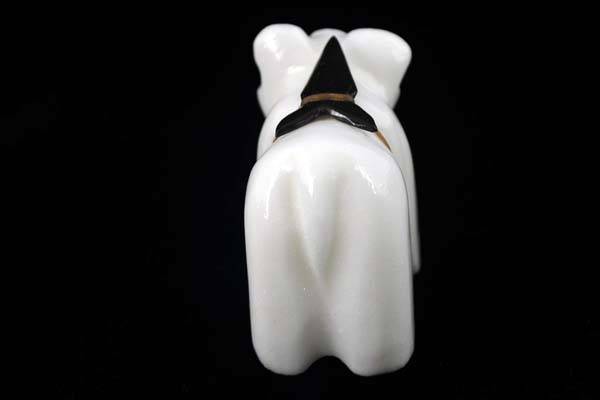 View the detailed images under the image to see high resolution photos of all sides of this amazing piece.